Nassau, Bahamas: What a change it has been over a year. 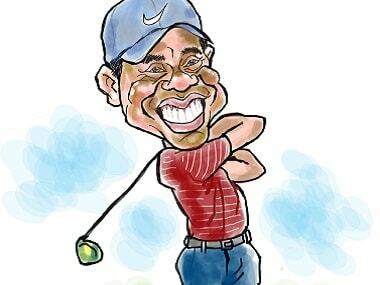 From a situation, where no one including Tiger Woods knew what the following week held for him, it is a situation of “Can he win again?”. Last year this time, he was 1199 when he teed up for what seemed his “final comeback” attempt. Now he is No. 13th and waiting to get back to No. 1, a position he has held for a record 683 weeks in his career. Now as he prepares to win the Hero World Challenge a sixth time, Woods has 17 of the world’s best competing against him. That includes other four players, who have World No 1 ranking, including Albany resident, Justin Rose, or Justin Thomas or Dustin Johnson or Jason Day. Add to them the reigning Master champion, Patrick Reed, two-time Masters winner, Bubba Watson and the eternal favourite and defending champion, Rickie Fowler. Yet, all others, all inside the World’s Top-32, are but side stories as the season winds to an end. The focus is all on him. Tiger Woods. But it has always been like that, whether he was fit or not. But now that he is coming off his first win in five years in his previous start, the scrutiny is even more intense. A year ago, at this time there was much trepidation as we all watched him take one small step at a time. Playing painless was a luxury and he confirmed that. Then lasting four rounds, without going bust was the next goal. He reached that. He made the cut in his first PGA Tour event at Farmers, but missed it at Genesis. Then came a T-12 at Honda, where he was 69-70 for the weekend. This was getting better and suddenly at Valspar he was runner-up, losing to Paul Casey by a single shot. So, now we knew he was pain free, could last four rounds and contend, too. But could he close it and win? The wait lasted a full season and happened only at the final Tour event of the year – the Tour Championships at a course where he has not done very well and the field had the best 30 players. He led all four rounds and won title No. 80. He was back, including contending at the Majors, like leading for 48 minutes at the Open, before finishing T-sixth. The swing is fine, the rust is slowly but steadily being shaken off his putter and all that remained was the physical aspect of how much could his “new 43-year-old body” take. Even Woods did not probably see such a fast movement from being in the category “Can he play” to “Will he win” so fast. He was not prepared to play so much in such hot weather. He said, “Yeah, I was not physically prepared to play that much golf at the end of the year. I had taken days off here or there, tournaments off, just trying to conserve energy and making sure my body is still good. I didn't want to hurt anything. But I ended up playing seven out of nine to end the year. I got into Bridgestone on the number because of my finish at the Open Championship. So there was a week going into the British Open, I really wasn't on the list yet. And then I enter it, play it, and then the Playoffs start coming around. And it's one those years, you guys have been out here long enough, it has never been this hot. So, the focus for Woods has shifted from his game – which is in a fair place and getting better – to improving his physical condition. He played 18 events in 2018, and that was the most since he played 21 in 2005. 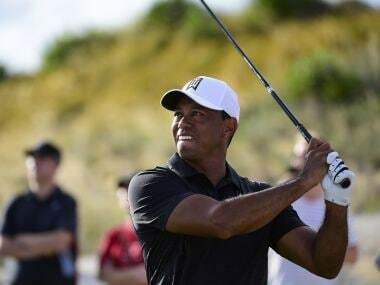 Woods has always played and rested and prepared in between events. The breaks have always been a part of his schedule – not like seven events in nine weeks, as he did in the second half of 2018. So, now that he knows that the game is back; and so is the winning feeling, Woods is planning his schedule and he is no hurry. The rest of the time, one presumes, he will stop in between listen to what his body says and follow the instructions from there. Be sure, some more space is being made for the few additional Trophies that are bound come his way in 2019. And who knows, a Major or two, too!